Brazilian duo Digitaria get set to Shine even brighter with a highly anticipated second EP for the one and only Hot Creations. A potent mix of sweetly sensual vocals and dreamy electro pop with a kick for the floor, the Shine EP is backed by a pair of exceptional remixes courtesy of cosmic icon Morgan Geist and on-point breakthrough artist of 2012, wAFF. A-side Shine instantly captivates with a wash of soaring synths that accentuate the warm glow of Danielas intoxicating voice. Lyrics forming the beating heart of the song along with the melodic bassline groove, this is a record destined to give the crowd that warm fuzzy feeling at a sunrise set. One of NYCs finest Morgan Geist, aka Storm Queen and one half of Metro Area, bestows his genius in the first Shine remix, introducing staccato synths, a pulsing bass beat and later an intense fusion of cosmic chimes, undulating rhythms and popping percussion. B-side Mystic Flow is a more late night affair, building layers of mystical voodoo over the low elastic bassline and punchy textured groove, the vocals imbued with a hypnotic snake charmer quality. Last but by no means least; wAFFs remix of Shine has got something of the Ame classic Rej about it. Immersing Danielas crystalline vocals in a molten sound bed of psychedelic prog, wAFF knows how to get you tripping. Digitaria is the project formed by Daniela Caldellas and Daniel Albinati, on the sunny shores of Belo Horizonte, Brazil. Seducing Latin America and beyond since2004 with their blend of romantic electro pop, the duo met Jamie Jones one steamy night in 2012 at Warung nightclub and soon got the Hot Creations boss hooked on their sound. Tracks passed over soon after became the Digitaria/Funkyfat Masochist EP, a subsequent summer hit, and the rest is history. 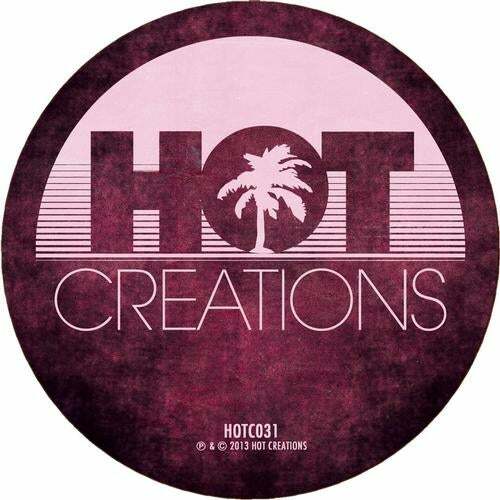 First release of 2013 was collaboration with the Adana Twins Reaction on Jeudi Records, and the Hot Creations Shine EP is sure to further mark the duo as a global force of nature.